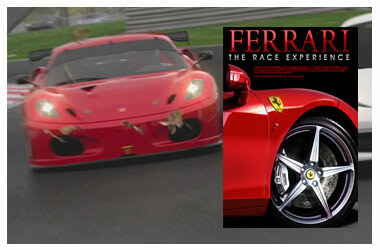 FERRARI THE RACE EXPERIENCE on PS3 is only available as a PlayStation Store download for €14.99 // £11.99. step-by-step guide to help make the process as pain-free as possible. In order to successfully download your copy of Ferrari The Race Experience it is essential that you own a PlayStation 3 console and are able to connect it to a wired or wireless broadband connection. For instructions on how to connect your console to a broadband connection please consult the console user manual. Please note, unlike Blu-Ray discs, game downloads are loaded into your system's memory and will use up storage space. Depending on the size of your hard drive, the number of other games you have downloaded and how many media files you have on your machine (photos, movies, music etc) you may have to organise your memory in order to fit the game onto your machine. You can find out how much space you have left on your machine by going to 'Settings', then 'System Settings', then 'System Information’ before looking at the 'Free Space' line. 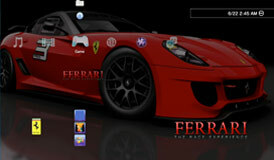 Ferrari The Race Experience will take up approximately 2 GB of your machine's memory. Firstly you need to set up a PlayStation ID. If you already have a PlayStation ID skip straight to Point 3. If not, go to Point 2. 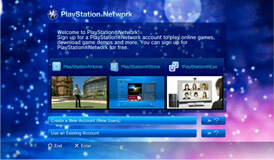 Switch on your PlayStation 3 and scroll right to the PlayStation Network tab. Then scroll down, highlight the 'Sign Up For PlayStation Network' icon, press X and follow the instructions. 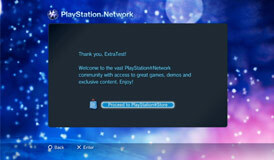 Once you see the 'Thank You' message you will be able to proceed to the PlayStation Store. Now proceed to Point 4..
Switch on your PlayStation 3 and sign into the PlayStation Network. Your machine may do this automatically. If not, scroll right to the PlayStation Network tab. Then highlight the 'Sign In' icon and press X. 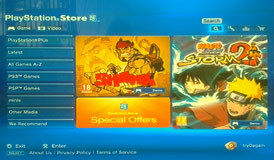 Once you’re signed in scroll down and select the PlayStation Store icon. Once you’re in the PlayStation Store you can use the search bar (the magnifying glass icon in the top-right corner) to search for ‘Ferrari The Race Experience’. This will then bring up Ferrari The Race Experience. Follow the instructions in order to buy the game. You will need a credit card or debit card to do this in a similar fashion to buying from other online stores such as iTunes. Follow the prompts, then wait for the game to fully download. This may take several hours depending on the speed of your connection. 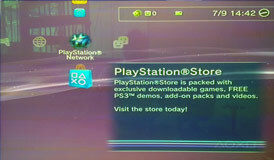 While the game is downloading an icon will appear in the 'Game' section of your PlayStation 3, as with any other game, albeit with a percentage counter over it. Once the counter reaches 100% your download is complete and you may play your game. It is essential that your console remains on and connected to the broadband connection while it is downloading.